Neither of my parents ever approved of horror films, but we could watch movies that were funny and a bit campy yet never demonic or gory. 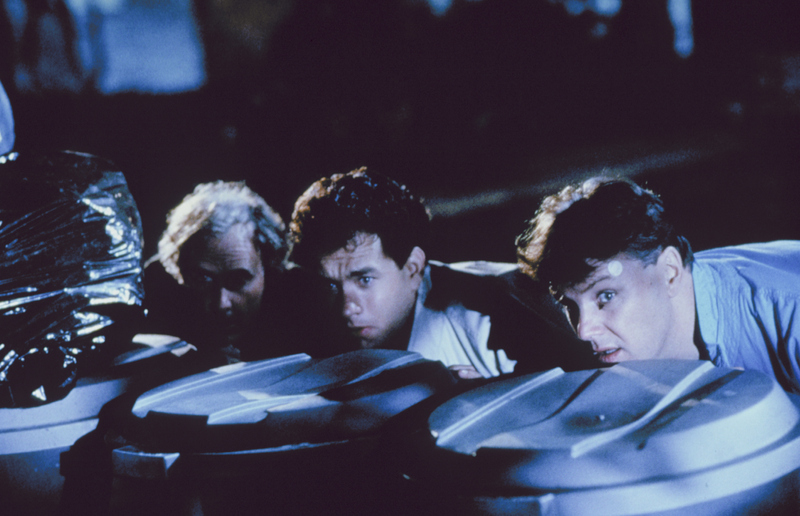 That is how I saw quirky classics like Beetlejuice, The Goonies, Gremlins, Scrooged, and one of my favorites, The Burbs. For those who haven’t watched it, The Burbs features Tom Hanks as an average American suburbanite named Ray Petersen who finds himself entangled with his neighbors’ plot to out the new family in the cul-de-sac, the ambiguously foreign Klopeks. When I found out my husband had never seen it, we watched the film with friends. We laughed, but at the end, my friend Logan remarked that it could have made a statement about the dark nature of humankind, but instead reinforced stereotypes. I hated to admit he was right. The upper-middle class white Americans win—again! Screenwriter Dana Olsen tested several endings before settling on the existing narrative where police arrest the Klopeks with justifiable cause after finding a car trunk full of human bones. With fresh eyes, I could see how calling the curtain a few minutes earlier could have relayed a lesson Christ taught on the Sermon on the Mount. What if the problem isn’t my neighbors—what if it is I who am suspect? Christ reminds anyone who will hear His message that we are constantly in danger of hypocrisy. We are so apt to finding fault with the speck in our neighbors’ eyes we fail to see the log in our own (Matthew 7:3, Luke 6:42). Without recognizing it or knowing why, we demonize others to excuse ourselves from introspection and transformation. If Christians would take time to think of everyday interactions with neighbors, they may uncover unexpected sin. During graduate school, my husband and I lived in a rather shady apartment. Regularly, we found meth pipes in the parking lot and smashed liquor bottles around the complex. One morning I returned from class and Tim told me about calling the police on our next door neighbors when he heard a loud domestic dispute. The young couple had reached out, saying “hello” in the hall and sharing bits of their story with us. She was pregnant and agoraphobic; he managed the local Dairy Queen. I was happy to share ketchup or eggs when they asked. I didn’t blame them for her troubles, but I started to ignore and avoid them after I saw cockroaches from their apartment migrate in swarms to mine whenever the guy’s mom cleaned. Roaches dropped from the ceiling, hid, nested, and overran our apartment no matter how frequently I bombed it. Eventually, they were evicted. We never saw them again. Since then I’ve moved and continued to find faults in my neighbors—at times, for good reason—but I need to hire a whole yard crew to remove the logs in my eyes. Once, I offered a ride to the airport to an especially needy neighbor. Inwardly, I grumbled because it took all evening. When we returned, the woman gave me a hug and slipped a wad of money in my hand. I tried to return it, but she refused and hurried into her apartment. The door closed, and I unfurled five 20-dollar bills. We had gone to the airport to return a moving truck she rented to pick up her sister who is mostly deaf and intellectually disabled. She was taking sole custody of her after her mother died while putting herself through school for a social work degree. Sadly, this wasn’t enough. Too frequently afterward, I became the weirdo crouching behind my door, peering through the peephole and waiting for people to leave before exiting my apartment because I didn’t want to get caught in obligations to clothe the naked, befriend the lonely, or feed the hungry. I may not have participated in a covert operation to publicly incriminate my neighbors, but that never matters. God knows what I’m thinking. I should be getting the message: It’s not them! I am the one who needs to examine what I guard so selfishly. Be it routines, comfort, money, time, pride—Christ has commanded I deny it all to grow His kingdom and show His love (Matthew 16:24; Luke 9:23). I wrote this short piece in summer 2015. The challenge was to contain my thoughts from what was originally a 2,000-word essay into approximately 800 words. Present Ghost begins with prose, photography, various mixed media, and music.